Rajasthan University of Health Sciences, Jaipur issued Recruitment Notification 2013 for 20 Post of Drug Control Officer (DCO) in Drug Control Organization, Rajasthan. 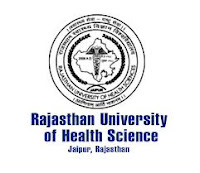 RUHS invites on-line applications for direct recruitment of Drug Control Officer before 16.09.2013. Eligibility : A Degree in Pharmacy or Pharmaceutical Sciences or Medicine with specialization in Clinical Pharmacology or Microbiology from a University established in India by Law as prescribed in Rule 49 of the Drugs and Cosmetics Rules 1945. Knowledge of Hindi language in devnagri script (lipi) – to read, to write and to speak. Examination: There shall be 100 multiple choice questions of one mark each. There shall be no negative marking.